Located opposite of Aerins, this newly opened (close to 3 months old) restaurant, with unique name and cool simple environment, caught my attention when I was strolling around in Raffles City Shopping Mall. 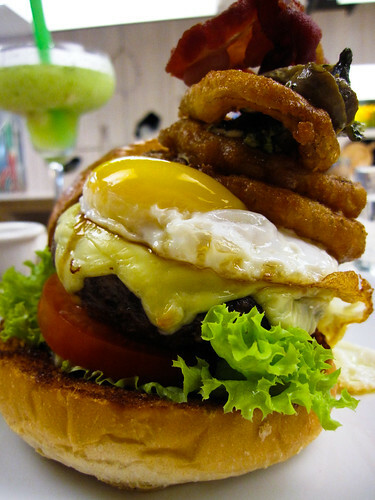 What more is that the concept of The Hand Burger is somewhat familiar to The Daily Grind in Malaysia. A quick scroll through their menu, one would notice that the list of burgers isn’t as extensive as compared to other restaurants. However, it is safe to say their list / menu is designed sufficiently to fit (almost) everyone’s tastebuds. 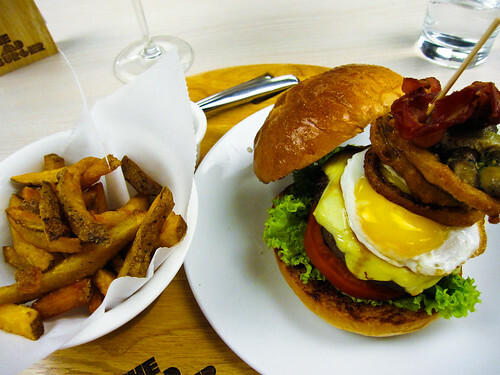 Ranging from beef to chicken and vegetables to pork, they serve gourmet burgers using freshest ingredients. Yes, you heard me right. They do have pork burger. Pork! With recommendation, I picked Lychee Mint Crush as my drink. Now… I don’t usually like my food / drink to have mint taste / flavour in it. So, it was a risky choice at first. But after the first sip (and each subsequent sips after that), I tend to like it very much. 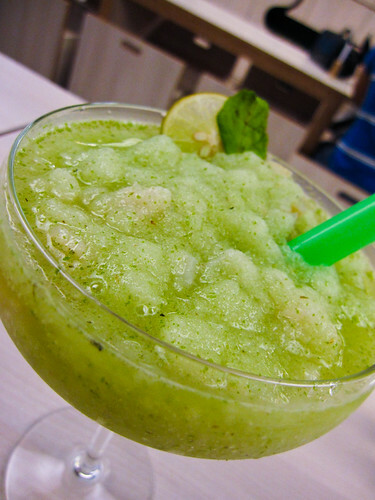 The faint taste of the mint coupled with the blended lychees, it was really refreshing and soothing. Each sip makes you crave for more. For main course, The Works Burger was my pick. 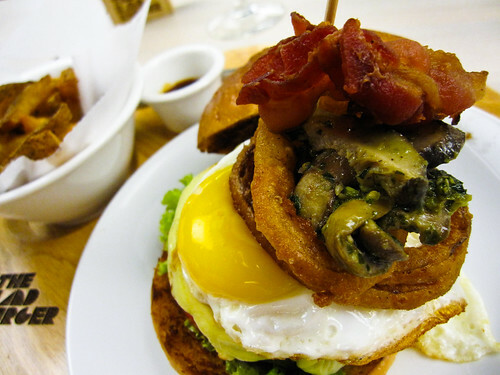 Combination of 180 grams of sirloin beef patty, cheddar cheese, sunny side egg, fried onion rings, basil pesto mushroom, garlic mayo and sweet onion jam, in my opinion, it’s really delicious. The patty was moist and wasn’t overcooked while their homemade sauce went well with the burger. On top of that, the bun that they used wasn’t those ordinary ones from outside. If I’m correct, they specially made these buns to be used for their burgers. It was soft sweet and nice. 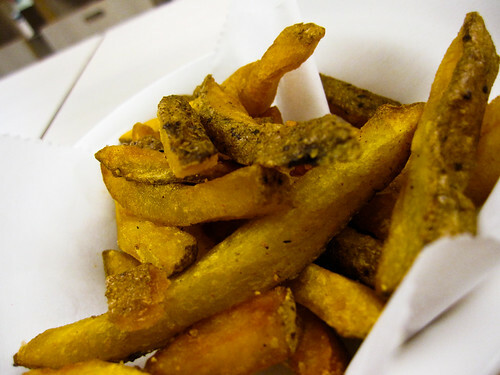 On the side, I took straight cut fries over stuffed tomato (with coleslaw in it). It was nice and crispy. Their sweet chili sauce (not in the photo) was equally good as well. Overall, from the menu to the dining tables and chairs to the food presentation, they defined their way of running a food joint and I think it is a good thing as they managed to separate themselves from the rest of the usual food joints. 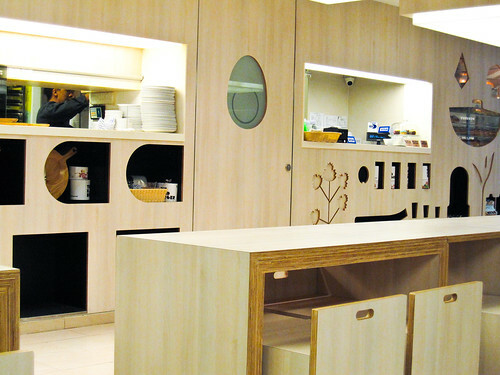 My first dining experience with them was pleasant as their staff were attentive and helpful. 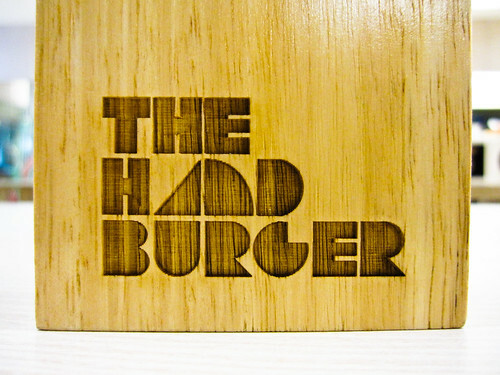 And the chance of me going back there is high as I want to try their pork burger.